Paula Rhyner’s research focuses on the effectiveness of various strategies in facilitating language learning in young children with language impairments. Her recent research has examined communicative interactions between adults (parents, teachers, childcare providers) and toddler- and preschool-age children, emphasizing the adults’ use of communication strategies that positively and negatively affect language development in young children during activities, such as joint book reading. The findings of her research on the communicative interactions of toddlers and preschool children with their teachers and child caregivers provide much-needed information on the nature of the communicative interactions during various activities (such as free-play, group circle time, and book reading) and point to the need for collaborating with teachers and child caregivers to ensure that preschool and childcare settings foster language learning in young children. She also has investigated factors that influence the measurement of receptive and expressive language skills in children and the effectiveness of language screening and assessment approaches with children from culturally diverse populations. Her research in this area has illustrated the limitations in the use of language screening tests in identifying African American kindergarten children in need of a comprehensive language assessment. The findings point to the need to develop language screening tests and assessments that are sensitive to differences in the language of children from culturally diverse backgrounds. Rhyner’s involvement in various interdisciplinary efforts that address the service delivery needs of young children with disabilities and their families has resulted in the funding of major grant projects funded by the Helen Bader Foundation, Milwaukee, Wisconsin, and the Healthier Wisconsin Partnership Program (HWPP) to develop an integrated database system for children with disabilities from birth to three years of age in Milwaukee County. 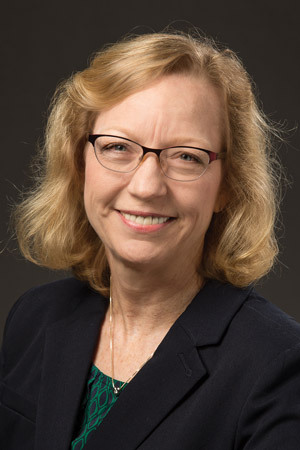 Her collaborations on development of the database system have led to studies in the area of health literacy, particularly with regard to serving children and families in early intervention. Rhyner, P. M., Guenther, K. L., Pizur-Barnekow, K. A., Cashin, S. E., & Chavie, A. L. (2013). Effects of context on child caregivers’ contingent responsiveness behaviors during interactions with toddlers within three day care contexts. Communication Disorders Quarterly, 34(4), 232-241. Pizur-Barnekow, K. A., Rhyner, P. M., Doering, J. J., & Patrick, T. B. (2011). An interdisciplinary approach to health literacy for education, research, and practice in early childhood intervention. Perspectives on Language Learning and Education, 18(2), 62-67. Pizur-Barnekow, K. A., Patrick, T. B., Rhyner, P. M., Cashin, S. E., & Rentmeester, A. (2011). Readability of early intervention program literature. Topics in Early Childhood Special Education, 31(1), 58-64. Pizur-Barnekow, K. A., Auer, P., Rhyner, P. M., Cashin, S. E., & Reentmester, A. (2010). An investigation of the readability of early intervention program literature. Topics in Early Childhood Special Education. Pizur-Barnekow, K. A., Doering, J. J., Cashin, S. E., Patrick, T. B., & Rhyner, P. M. (2010). Functional health literacy and mental health in urban and rural mothers of children enrolled in early intervention programs. Infants and Young Children, 23(1), 42-51. Pizur-Barnekow, K. A., Doering, J., Cashin, S. E., Patrick, T. B., & Rhyner, P. M. (2010). Health literacy and mental health in urban and rural mothers of children enrolled in early intervention programs. Infants and Young Children, 23(1), 42-51. Pizur-Barnekow, K. A., Patrick, T. B., Rhyner, P. M., Folk, C. L., & Anderson, J. K. (2010). Readability levels of individualized family service plans. Physical & Occupational Therapy in Pediatrics, 30(3), 58-64. Rhyner, P. M. (2009). Emergent literacy and language development: Promoting learning in early childhood. Rhyner, P. M. (Ed.). New York/Guilford Press: Challenges in Language and Literacy Series. Rhyner, P. M., Haebig, E. K., & West, K. M. (2009). Understanding frameworks for the emergent literacy stage. , 5-35. New York/Guilford Press: Emergent Literacy and Language Development: Promoting Learning in Early Childhood. Wu, M., Rhyner, P. M., Thao, C., Kraniak, L., Cronk, C., & Cruise, K. (2007). A tablet-pc application for the Individual Family Service Plan (IFSP). Journal of Medical Systems, 31(6), 537-541. Rhyner, P. M. (2007). An analysis of child caregivers’ language during book sharing with toddler-age children. Communication Disorders Quarterly, 28(3), 167-168. Hains, A. H., Rhyner, P. M., McLean, M. E., Barnekow, K., Johnson, V., & Kennedy, B. (2005). Interdisciplinary teams and diverse families: Practices in early intervention personnel preparation. Young Exceptional Children, 8(4), 2-10. Rhyner, P. M., Kelly, D. J., Brantley, A. L., & Krueger, D. M. (2001). Screening low-income African American children using the BLT-2S and the SPELT-P. Clinical issues when assessing African American children: ASHA readings. Rhyner, P. M., Kelly, D. J., Brantley, A. L., & Krueger, D. M. (1999). Screening low-income African American children using the BLT-2S and the SPELT-P. American Journal of Speech-Language Pathology. American Journal of Speech-Language Pathology, 8(1), 44-52. Kulkarni, V., Rhyner, P. M., Heilmann, J. J., & Pizur-Barnekow, K. (November 2015). Parent’s Experiences, Expectations, & Levels of Satisfaction Regarding Parent Education in ASD PRESENTATIONS 7 from Speech-Language Pathologists. Paper presented at the American Speech-Language Hearing Association Convention, Denver, CO.
Kulkarni, V., Rhyner, P. M., Heilmann, J. J., & Barnekow, K. A. (November 2015). Exploring experiences, expectations and perceptions of parents of children with ASD in receiving parent education from speech-language pathologists. Poster presented at the American Speech-Language Hearing Association Convention, Denver, CO.
Moerchen, V. A., Lynett, K., & Rhyner, P. M. (February 2015). Embodied development: Infant communication during treadmill stepping. Combined Sections Meeting, American Physical Therapy Association, Indianapolis, IN. Simonton, A., Rhyner, P. M., & Heilmann, J. J. (November 2014). Childcare Providers’ Vocabulary Input During Shared Book Reading With Toddler-Age Children. American Speech-Language Hearing Association Convention, Orlando, FL. Simonton, A., Rhyner, P. M., & Heilmann, J. J. (November 2014). Childcare Provider’s Vocabulary Input During Shared Book Reading with Toddler-Age Children: A Preliminary Study. Poster session presented at the annual convention of the American Speech-Language-Hearing Association Convention, Orlando, FL. Wheaton, V. L., Rhyner, P. M., & Pizur-Barnekow (May 2014). Health Literacy in the Affordable Care Act. Maternal and Child Health Bureau Pipeline Training Program Fourth Annual Making Lifelong Connections Conference, Denver, CO.
Wheaton, V. L., Rhyner, P. M., & Pizur-Barnekow (November 2013). Health Literacy Assessments: Implications for Speech-Language Pathologists & Audiologists. Annual convention of the American Speech-Language-Hearing Association, Chicago, IL. Clifford, S. N., Croxall, C. L., Masterson Jr., T. J., Miller, D. J., & Rhyner, P. M. (October 2013). The Utilization of Integrated Clinical Experiences as a Delivery Method for Interprofessional Education in Health Sciences Education. Annual fall conference of the Association of Schools of Allied Health Professions, Orlando, FL. Pizur-Barnekow, K., Rhyner, P. M., & Darragh, A. (December 2012). Health Literacy: Application to Early Intervention and Early Childhood Practice. Annual conference of the Association of University Centers on Disabilities (AUCD), Washington, DC. Lambrecht, E. L., & Rhyner, P. M. (November 2012). Mother and Child Extratextual Utterance Use: Effects of Book Genre. Annual convention of the American Speech-Language-Hearing Association, Atlanta, GA.
Rhyner, P. M., & Pizur-Barnekow, K. (November 2011). Health Literacy: Improving Services for Infants and Young Children. American Speech-Language-Hearing Association Convention, San Diego, CA. Olsson, K., Lynett, K., Rhyner, P. M., Patrick, T. B., & Marek, A. (November 2010). Increasing Referrals in Early Intervention: Building a Web-based System. Annual convention of the American Speech-Language-Hearing Association, Philadelphia, PA.
Rhyner, P. M., Mooney, B. E., Pitlik, R., & Stein, K. (November 2010). Methodology in Adult-Child Interaction Research: Comparisons and Clinical Implications. Annual convention of the American Speech-Language-Hearing Association, Philadelphia, PA.
Rentmeester, A. M., Rhyner, P. M., Patrick, T. B., & Pizur-Barnekow, K. (November 2010). Readability of Program Literature Provided to Birth to 3 Families. Annual convention of the American Speech-Language-Hearing Association, Philadelphia, PA.
Pizur-Barnekow, K., Rhyner, P. M., & Patrick, T. B. (October 2010). Readability of Early Intervention Program Literature. Health Literacy Annual Research Convention, Bethesda, MD. UW-Milwaukee MCH Interdisciplinary Pipeline Training Initiative (2011 June-2016 May). U.S. Department of Health and Human Services Health Resources and Services Administration Maternal and Child Health Bureau. Taylor de Oliviera, L., & Moerchen, V. (Co-Directors). Frank R. Kleffner Lifetime Clinical Career Award (2015) Wisconsin Speech-Language-Hearing Association (WSHA). UWM 2013-14 Student Success Award (2014) University of Wisconsin-Milwaukee. 2013 Leadership Development Program (2013) Association of Schools of Allied Health Professions (ASAHP). Research Mentor for Veronica Wheaton (2013, November) University of Wisconsin-Milwaukee. Length of Service Award (2013, April) University of Wisconsin-Milwaukee. Fellow (2011, November) American Speech-Language-Hearing Association (ASHA). Dean’s Research Award (2010, May) College of Health Sciences, University of Wisconsin-Milwaukee. Top 50 Project Managers at UW-Milwaukee by total research expenditures (2009, September) University of Wisconsin-Milwaukee. Award for Continuing Education (ACE) (2007) American Speech-Language-Hearing Association (ASHA). Ranked among the top 10 CDQ articles accessed online (2007) Communication Disorders Quarterly. Award for Continuing Education (ACE) (2007, November) American Speech-Language-Hearing Association (ASHA). Wisconsin Speech-Language-Hearing Association Honors of the Association (2005) Wisconsin Speech-Language-Hearing Association. Faculty Mentor (2004) Ronald E. McNair Summer Research Program, Graduate School , University of Wisconsin-Milwaukee. Excellence Award, Presented in recognition of service to the UWM Employee Development program (2003, December) Employee Development, University of Wisconsin-Milwaukee. Certificate of Appreciation (2003, November) American Speech-Language-Hearing Association.